Add character to your property with bespoke wooden roof lights and take advantage of available natural light at the same time; it's a great way of brightening up an otherwise dark room or staircase landing. Alongside a local, reputable glazing company, we can provide you with a full installation service and ensure the whole job is produced to the highest standards. 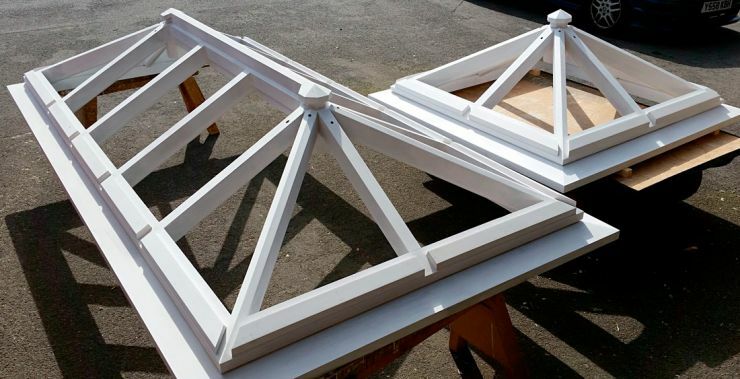 In addition to creating beautifully crafted roof lanterns, we manufacture roof trusses and roof beams in accordance with specifications from architects and structural engineers. If required, we will also assist the project carpenters with the assembly and fitting these timber components.